This variety is the quintessential tropical indoor plant. 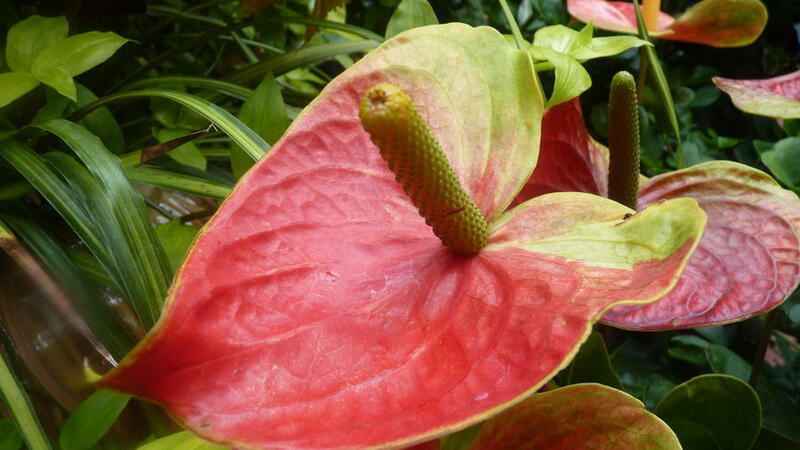 Patience is the key word when growing most tropical plants, but especially Sagina retinae. Although slow growing, the large leathery leaves and remarkable bird-like flowers are worth the fuss. Like a newborn, this plant requires regular feedings. Effort: Not easy to please in the home, and requires continuous moisture and high humidity. May take a few years to bloom. Stiff, thick leaves that are handsomely and brightly striped. Distinctive and architectural. Can also be planted outside in frost-free areas for a modern, tropical feel. Light: Accepts both bright and low light. Effort: Beyond easy, and thrives on neglect. 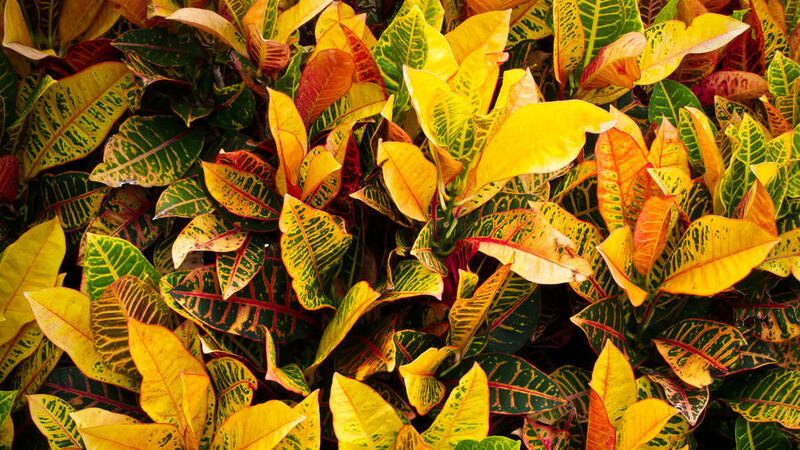 Boldly patterned, large leaves make this a dramatic plant that quickly adds an island feel. Light: Indirect bright light and average humidity. Effort: Although it has a bad reputation for its poisonous sap, this plant takes neglect and is versatile. A great choice for a low-maintenance lifestyle. A diverse family of plants; most have few needs and even fewer pest problems. 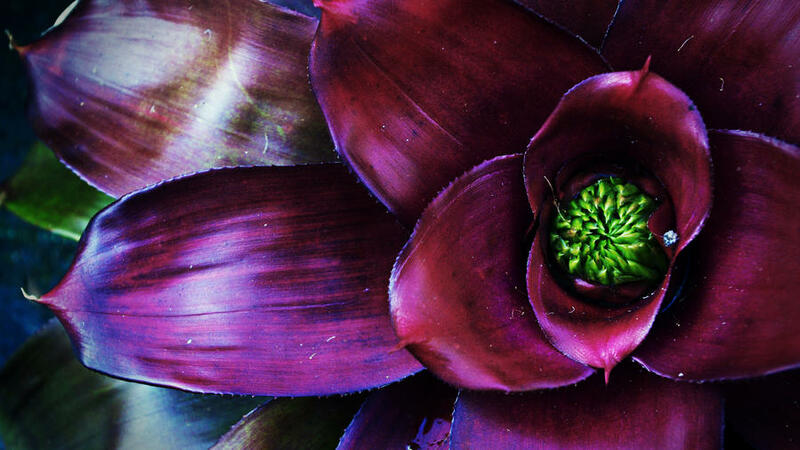 Many bromeliads have a “tank” (the part of the plant where the leaves join and form a cup shape). This variety of plant hydrates through their central tank, which is where you fill it with water periodically. Effort: One of the easiest of all tropicals; just don’t over-water. 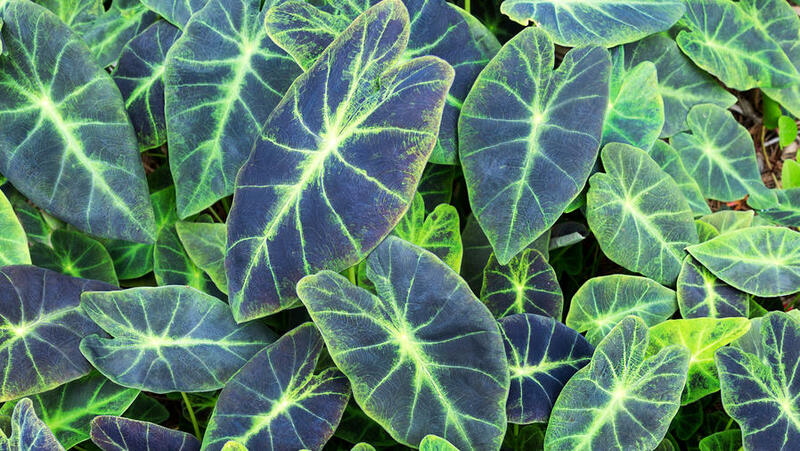 This tropical wonder originates from Southeast Asia and boasts large, striking deep green leaves outlined with silver veins that almost glow. Light: Bright, indirect light, surviving 80 percent shade. Effort: Easy, if the soil is kept moist all the time and the temperature remains warm (this is a true tropical). 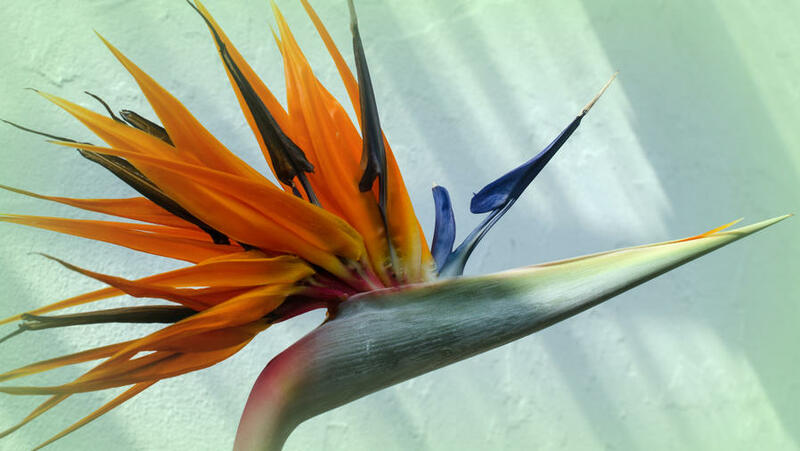 A colorful plant that evokes Hawaii. Like with most rainforest plants that need to shrug off excess rainfall, bright, slick and shiny leaves make up the defining trait of this beauty. Light: Bright light and high humidity like their native tropical home. Avoid a spot with cold drafts. Effort: Despite having a reputation as being fussy, it can be a resilient houseplant with proper care. Palms are a true symbol of the tropics. 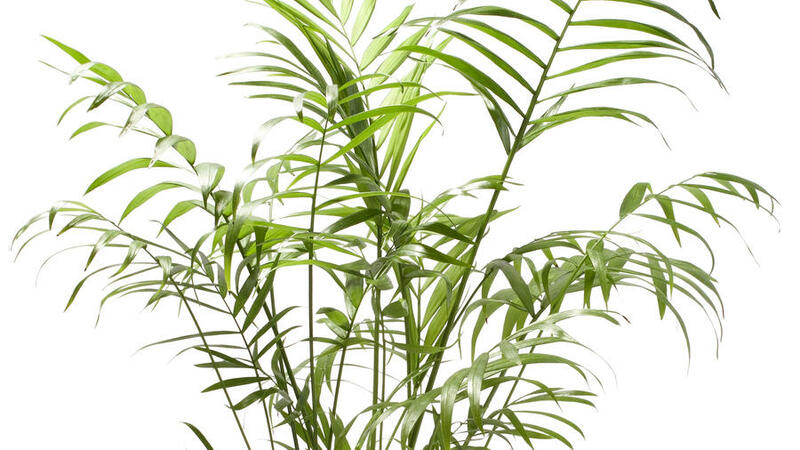 This variety adds the perfect faraway feel with its fine, grassy green leaves and slender trunks. 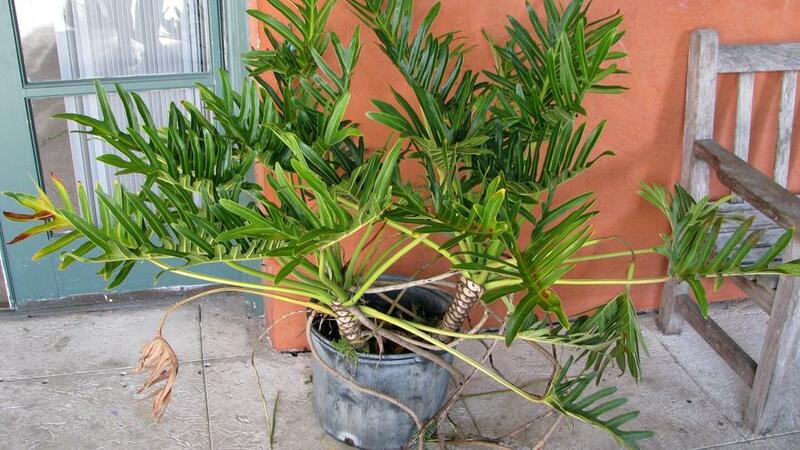 Like many palms, parlor palm likes to be watered sparingly and won’t tolerate being waterlogged. Effort: Easy and ideal because it grows so slowly to 3-4’ and purifies the air. A classic tropical with bright heart-shaped flowers on leaves that appear to have a plastic sheen. Keep temps above 60 degree F and make sure the soil is a mix of about half potting and half orchid. Light: Bright, indirect light. Lower light means slower growth and less flowers. Effort: Slightly difficult to keep blooming year-round but worth the effort. 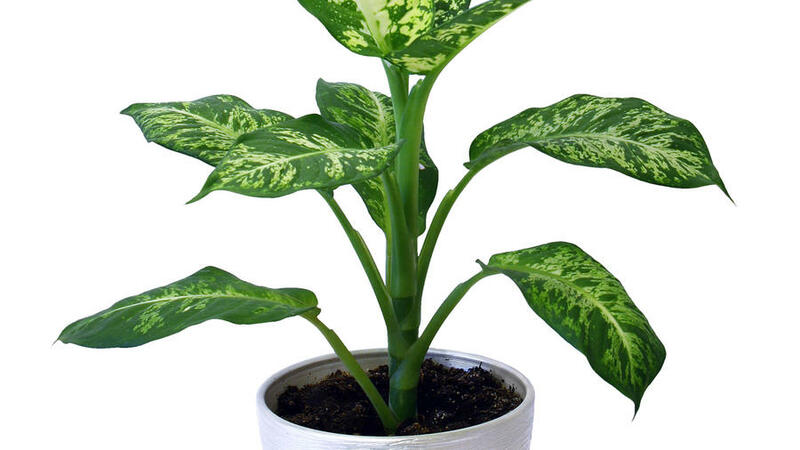 A caveat: this plant tends to be on the pricier side. 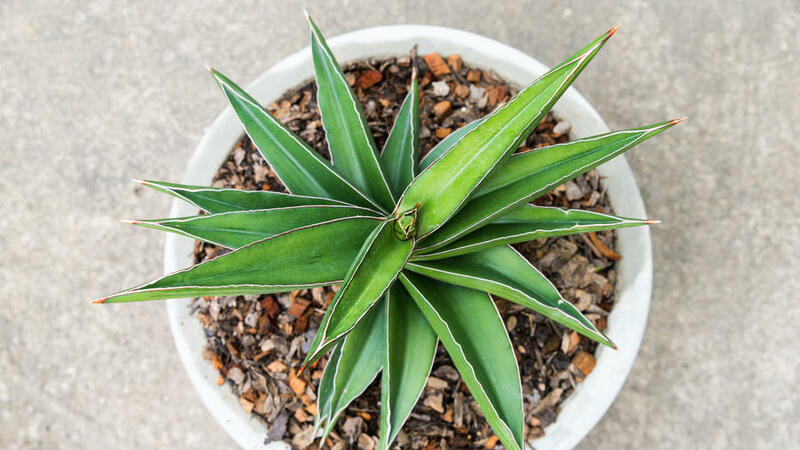 This exotic-looking plant has shiny green, leathery leaves and often grows wider than 2-4’ tall by 3-5’ wide. Light: To stay compact, needs medium, indirect light. Effort: Easy to please, but considered poisonous so keep away from pets and young children. 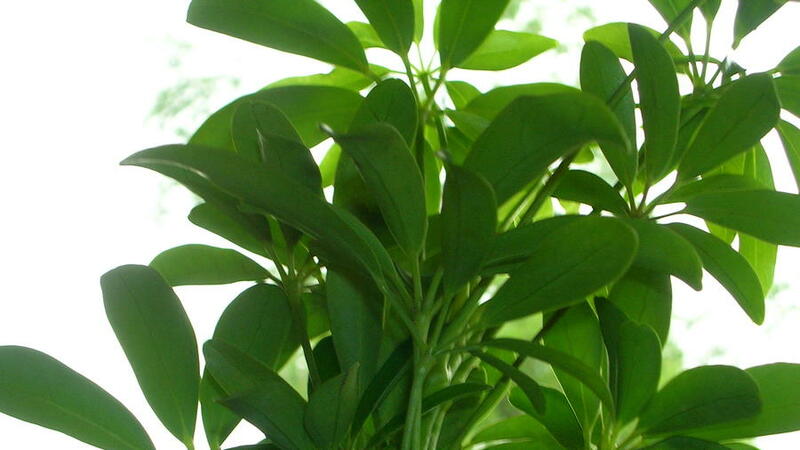 Sometimes called the umbrella plant, this popular choice has pinwheel-shaped leaves that come in straight green or variegated with yellow. If this Australian native becomes too leggy and floppy, move it to a spot with more light. Effort: Easy if humidity and warmth are provided (the plant suffers below 60 degrees F).